If I tell you that door height is 2,20 meters or I say that’s 220 centimeters this is exactly the same. I can also say that the door height is in inches 86,6 inches, it’s the equivalent of 220 centimeters. Units of measurement do not affect how much the door is really height. 2,20 m = 220 cm = 86,6 inches etc.. 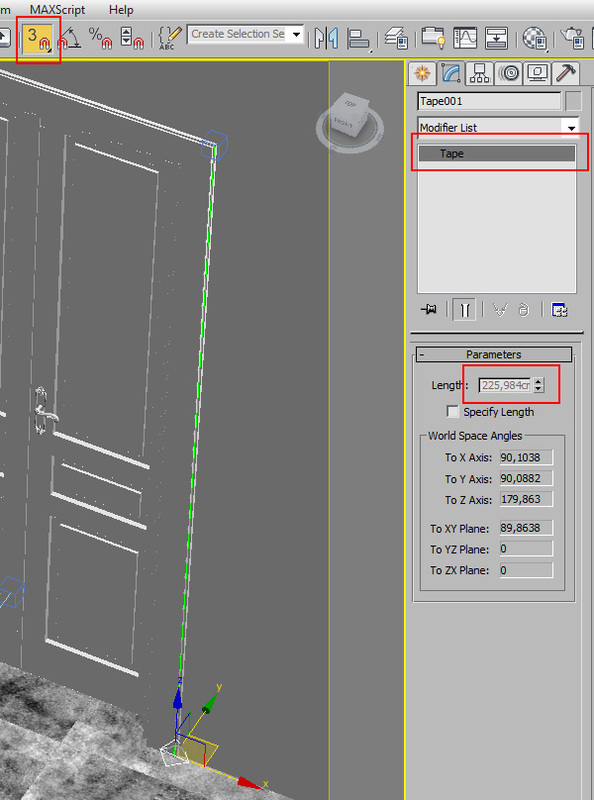 Choose cm for interiors or meters for exteriors because this is more comfortable for you, but V-Ray considers meters, centimeters, inches exactly in the same way. Working in scale 1:1 means that 1 meter in your project corresponds to 1 meters in the real world, and this is fine. But sometimes 3d models have a different/wrong scaling, they are for example in scale 1:20. That means 20 real meters will be represented with 1 meter in your 3d world! This situation create a false/reduced world, which is not real. This is the real problem. When you work out of scale, measurements are completely wrong. It’s not about of little differences, it’s about huge differences: you can have a door of 2 centimeters or 2 kilometers. When I want to quickly check if I’m working in the correct scale I simply use the tool “Tape”.. In “Lenght” I read 225 centimeters, which is consistent with a real door in the real world. This tell me that I’m working in the correct scale. Conversely when I’m in the wrong scale this parameter could display 2 centimeters, or 2 kilometers. I mean, something totally out of reality. Note that in certain circumstances you need some trial to let your 3d model matching with consistent measures.